The Hidalgo County Republican Party will not be nominating a candidate to place on November’s ballot for 93rd District Court judge, essentially guaranteeing victory to Democrat Fernando Mancias. The county GOP closed its application period for potential nominees Aug. 20, and party chairwoman Adrienne Peña-Garza confirmed Thursday the party received no applications during the party’s month-long application period. Both county political parties have until Aug. 28 to select a candidate for the ballot, according to the Texas Secretary of State Elections Division, after the seat became vacant upon the April resignation of ex-District Judge Rodolfo “Rudy” Delgado, a Democrat. Delgado stepped down after being indicted on multiple federal bribery charges. Democratic Party precinct chairs nominated Mancias, a former district judge, to represent their party in late June, and no independent candidates filed for the seat and no one submitted their name as a write-in-candidate, confirmed Secretary of State Communications Director Sam Taylor. Given that a candidate must be a resident of Hidalgo County, it would be highly unlikely for the Republican Party of Texas to nominate a replacement by the state deadline, which is Aug. 29. The state party is allowed to select a candidate in instances where county parties do not have a nominee for a vacancy in office. Peña-Garza said she is optimistic the end of the straight-ticket voting option in 2020 will help Republicans in the county, and said the county GOP is focusing this election season on races for county judge and Texas House District 41. 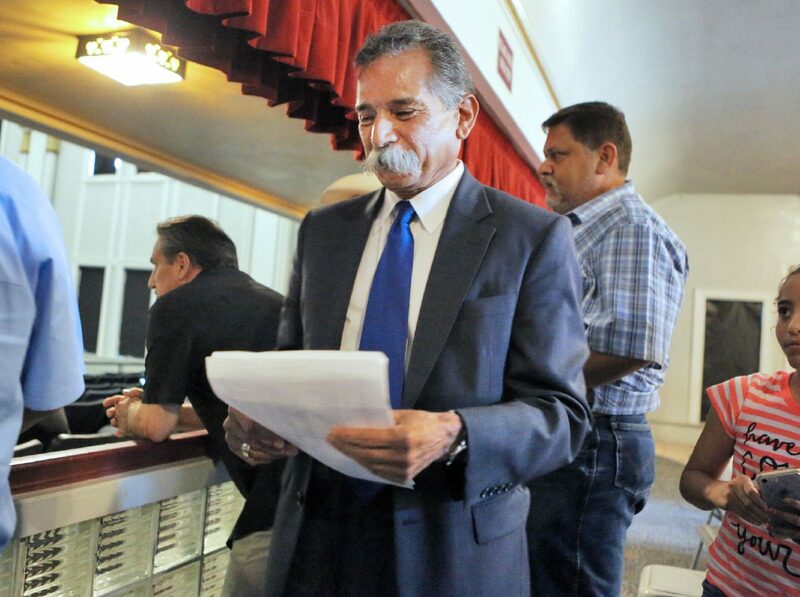 Despite facing no competition, Mancias has already spent approximately $7,850 of his own money on his campaign, almost half of which went to John Carlos Treviño, a local political consultant, according to a campaign finance report filed July 16. Mancias presided over the 93rd District Court from 1989 to 2000, and upon his retirement was succeeded by Delgado. He will likely take the bench in his former courtroom in January 2019 and hold it through the remainder of Delgado’s term, which ends in December 2020.